You've heard me talk about Makeup Revolution a lot before simply because the cosmetics are absolutely amazing! I am constantly recommending this brand to everyone even guilty of recommending it to the girl working at a benefit stand last month I honestly cannot get enough of this brand and my collection is quickly growing. 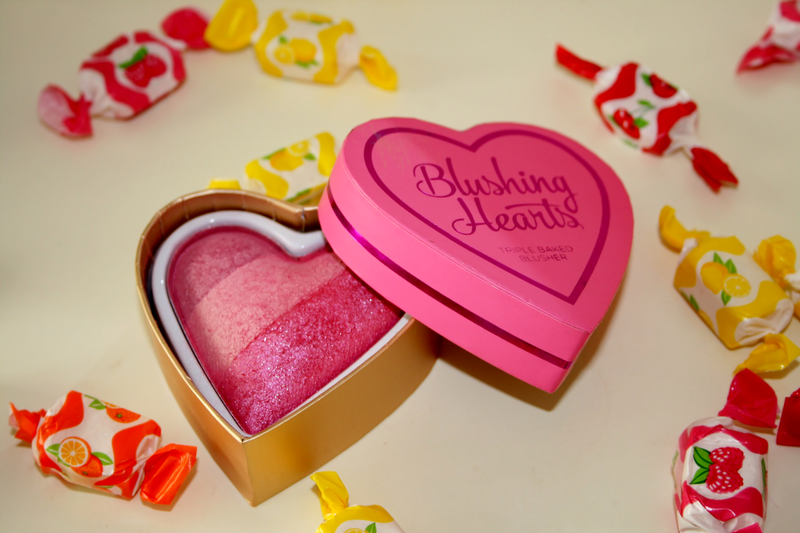 I got the Blushing Heart as part of a birthday gift and I have been using it so much since then. It can be used as 3 separate colours or mixed together. Personally I just swirl my brush through them all, tap off any excess and apply then you're good to go! It really is the most beautiful pink shade of blush ever and I'm not one for pink blushes as I dont like my cheeks to be crazy coloured but this is just the perfect hint of colour. There is also a slight sparkle in it, which gives such a nice natural rosy glow to the cheeks, dont worry its not a I just dipped my face in glitter kind of sparkle its very subtle! This particular one is in the colour 'Blushing Heart' and I currently have my eye on the others in the range. These are only €5.98 which is an absolute bargain for such a gorgeous product. 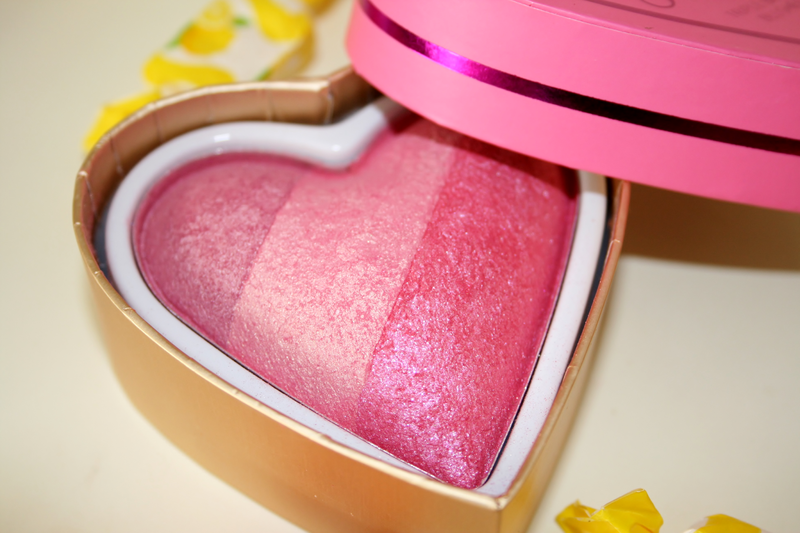 The colours may remind you of the much more expensive brand Too Faced 'Sweetheart Blush' which is €33.55, I can't compare them both because personally I've never tried the Too Faced one but I've seen so many people call it a dupe for it and I don't know about you but I would much rather spend €33.55 on Makeup Revolution products as you'd get so much rather than just on one blush! If you haven't tried this brand yet I am literally telling you to drop everything you are doing right now and go have a look at their products because they have so many amazing cosmetics and all for amazing prices, I really cannot recommend this brand enough! What's your favourite Makeup Revolution product? The shade is gorgeous and it really reminds me of Too Faced blush! I probably won't give this a go though as I dislike shimmer in my blush, I think it highlights whatever that is NOT supposed to be highlighted on my face. LOL! this looks so gorgeous! I love the packaging of it and I love how they're a cheaper version of the too faced one! That is the sweetest thing I've ever seen wow :') Love the packaging and the look of it, and from what you've said it sounds really good! I'll have a look for some! How gorgeous! 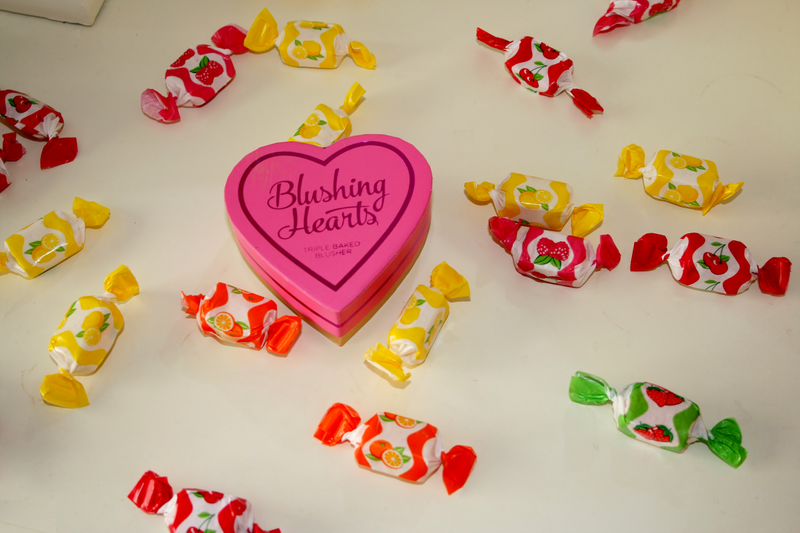 I need to pick some of these blushing hearts up!